Winter can be a season of fun. Who doesn't love snowmen, sledding, ice fishing, snowball fights and all the shimmering beauty of a white snow? However, on the flipside, the winter season is not without its drawbacks, and one of the major catastrophes is the damage that the heavy winter can inflict to your property. Winter storms are the third-largest culprits of catastrophe losses and property destruction after hurricanes and tornadoes. The freezing temperatures, ice, snow, and wind can cause severe damage to your home and property, and this is why you should have an offsite snow storage facility for your property. Living in a region such as Utah, where winter storms often bring with them an array of extreme cold, violent winds, and icy conditions, potential outages for days and even immobilization of the entire region is a common occurrence. Therefore, it always a great idea to store your property in a haven where you're assured of safety. 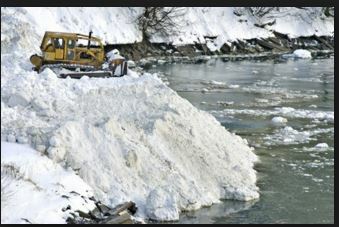 Aside from snow removal, a snow plowing, and ice management task, Provo Snow Removal is licensed to offer a myriad of offsite snow storage options. We offer warehousing and delivery services to help the local Utah residents and the surrounding businesses. Our mode of operation is simple, easy and modest at best. However, as simple as we are, we provide our clients with the most advanced innovation in the offsite storage facilities. And even though we specialize in the storage of non-perishable goods only, we're flexible and can accommodate the seasonal fluctuation of our business client to address their demands. We understand that each client has their special storage needs, and this is why we personalize and tailor every client's agreement to suit their needs. We are well aware that clients with a plenty of goods carry the greatest risk in case a catastrophe strikes them, and this is why we offer a special discount to those who have excessive storage demands-we want to help you save both your time and money. In our offsite storage facilities, your items are placed in a safe and secure location. Also from the physical safety, the environmental conditions are temperature controlled, and your goods are protected from the harsh snow climate. If you trust us with your goods, you will enjoy the benefit of tracking your inventory. Also, our company offers a spectrum of package deal options that you can choose what you think is ideal for you. In addition to the deal options, we also offer storage solutions for both short-term and long-term offsite snow storage needs. When it comes to payment methods, we are flexible and accept payments by the phone or online. You can also choose your prepaid service by some days, weeks or months. For convenience, we also accept both debit and credit cards. If you've been in search of an offsite storage facility that conducts its business based on trust, reliability, honesty, and professionalism, contact Provo Snow Removal today. Serving our clients is our core value, and we're always pleased to offers the storage facility service during the harshest winter season.